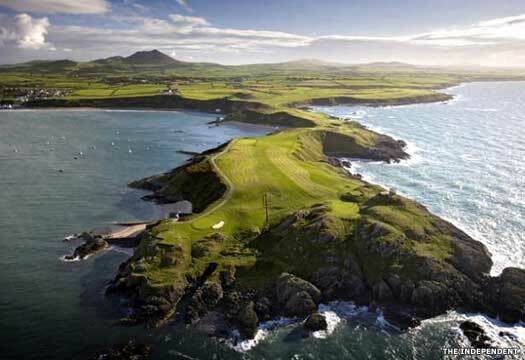 Located in northwest Wales in the former British territories of the Deceangli and Ordovices. A group of Votadini Picts (nominal Britons from the Pictish border area of the Venicones) under Cunedda Wledig were transferred by Magnus Maximus to secure Western Britain from Irish raiders, moving from the Manau Guotodin kingdom. In Wales, Cunedda governed most of the north (hence 'King of North Wales'). His father and grandfather bore Roman names and in true Celtic fashion, Cunedda could trace his lineage back to Beli Mawr. Following that Celtic tradition, upon Cunedda's death the territory under his control was divided between his sons. Most of these were 'regained' by the main Gywneddian kingdom within a generation or two. Ceredigion, along the upper west coast of Wales, remained independent for much longer. 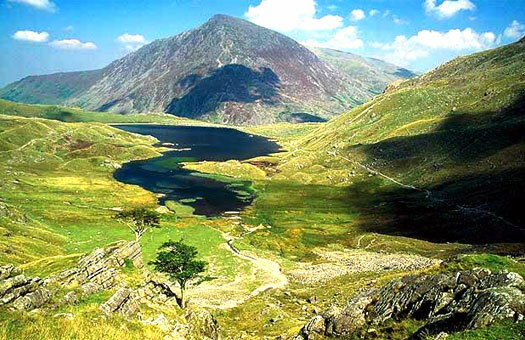 The name of Gwynedd either derives from the Latin Venedotia, or more probably from Cunedda (=Weneda =Gwynedd). 'King of North Wales'. Son of Magnus Maximus. Cunedda and his branch of Romanised Venicones are transferred from the Manau dependency of the Guotodin kingdom, traditionally by Magnus Maximus. They are moved to the former territory of the Deceangli in western Wales to secure the region from Irish raiders, and it is here that they found the kingdom of Gwynedd. Some historians dispute the traditional view of Cunedda being moved by a central British authority and instead claim that he sails down the Irish Sea and invades north Wales of his own volition, forming a kingdom at a time when there is no one left to stop him. However, the fact that his father had clearly been a Romanised Celt who had held a position of authority is too important a factor to miss (note his grandfather's appellation, 'of the Red Robe', something that was so notable and such a family high point that it had become a nickname). Cunedda is clearly the son of an important figure in Roman Fife. Cunedda's campaigns to clear the Irish raiders from western Wales may extend far outside the territory he claims as his domain. The existence of Allt Cunedda in the territory that falls under the kingdom of Dyfed in South Wales, seems to be a link to him. In 2014, the ScotlandsDNA project discovers the ancestral Y chromosome marker of the Venicones, R1b-S530. At that point, a new project known as CymruDNAWales is also being prepared. A marker that is very Welsh-specific and which accounts for about 0.8% of all Welshmen is found to have close links with the 'Pictish' (ie. far-north British) marker of the Venicones. In fact, it is found to occur downstream of R1b-S530 in the descendants of men who have carried it - men who have also come to Wales. When this news is announced in 2016, it is theorised by the project's scientists that this notable genetic link is a relic of the coming of Cunedda's forces and perhaps a substantial number of associated migrants. Cunedda Wledig's name is a fairly typical Brythonic play on words, taken from 'cuno' meaning dog (ie. servant) and 'dda' meaning the god Da or Dagda, making him the 'servant of Dagda'. The title 'wledig' is later Welsh for 'prince'. His son, Typaun, is presumed to follow him on his move southwards, but apparently receives no subsequent mention, suggesting his death (probably in battle) before the kingdom can be fully established. King of North Wales. Venicone Pict. m Gwawl ferch Coel. Immediately prior to Vortigern's apparent rise to power as High King, the country is subjected to raids along its coastline. In the west, Irish raiders sail up the Severn during a successful raid on Cernyw. Later chroniclers record that it is around this time that Cunedda and his sons drive out the Irish from large areas of the territory which has been made their responsibility, recovering the greater part of South Wales and the whole of North Wales except Anglesey and parts of central North Wales (modern Denbighshire). During this time of great unrest in Britain, when the Saxon revolt is wreaking havoc on the country and Britons in the south and west are emigrating to Armorica in droves, Irish raids on the west become heavier. They are driven away from Gwynedd by the strong rule of Cunedda and his sons, so the Pagenses probably looks an even sweeter target right now. One powerful Irish band captures the capital and the ruler is is forced to go into hiding. Following the death of Cunedda, his son Einion Yrth succeeds as king or magistrate. Gwynedd remains politically whole under his governance, but the land within it is divided between Cunedda's surviving sons, who then operate as sub-kings to Einion Yrth. Each of these sub-kingdoms is located to the south or east of Gwynedd's heartland, serving as buffer states without having any real say in Gwynedd's policies. Ceredig ap Cunedda already rules in the independent district or kingdom of Ceredigion. Cunedda's eldest son, Typaun (or Typipion), had already died in Manau Gododdin, Cunedda's homeland, so his son Meirion is now granted the cantref of Meirion. A further sub-kingdom, Rhos, is added around 480. Brother. Leaves Rhos to his youngest son, Owain Ddantgwyn. See the feature and map on the sub-kingdoms of Gwynedd for further information. Son of Einion Yrth. 'King of North Wales'. 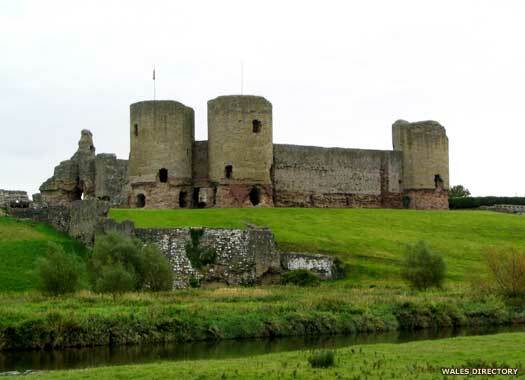 As well as being the Arthurian King Cradelmant of Northgalis (North Wales), Cadwallon is also the Cadwallo, 'King of North Wales', who appears in Geoffrey of Monmouth's History of the Kings of Britain at the magnificent Whitsun ceremony at Caerleon-upon-Usk in south-east Wales (within the territory of Gwent). Nothing at the site of this former Roman legionary fortress of Isca Silurum suggests post-Roman occupation, so Geoffrey doubtless picks the place because it is close to his home town and at one time had plainly been a centre of population grand enough to suit Arthur. Brother. King of Rhos. Murdered by Maglocunus. High King of Britain. Died of the widespread mid-century plague. Owain Ddantgwyn of Rhos is murdered by Maelgwyn Gwynedd at the very start of the latter's kingship. Maelgwyn is perhaps better known during his own lifetime as Maglocunus. A proto-Celtic root word, 'magus' (meaning young, a servant, a boy), from the Indo-European *maghu (a young person), seems to acquire an 'l' somewhere along the way to produce 'maglo', from which derives the Gaelic 'mael' (the 'mal' in Malcolm), and the Venedotic 'mael' (as in dogmael which becomes dogfael - early Welsh 'm' becomes modern Welsh 'v' in the middle of words). Amusingly, this would mean that Maglocunus translates as 'dogboy'. The death of Maelgwyn Gwynedd can be said to be the end point for any remaining notion of 'Romanness' which may have remained in the office of king in the west and north (and that of magistrate in the south and east). British women enjoyed a high status that is rare in any society before the modern age. They were the equals of men not only in the home, but also in government and war. Some Britons were regularly ruled by queens, and the matrilineal descent of kings was a very strong feature of Pictish rule of the far north of Britain, where each king was chosen through his relationship with his mother, not his father. The Manau Gododdin who moved to north Wales also practised this form of inheritance until the ninth century, reflecting their northern heritage. It was probably Gwriad ap Elidyr, the heir of South Rheged who ended this practice thanks to his very different heritage. Son. Fought two great battles against Alt Clut. Rhun has to fight off an attempted invasive takeover by his brother-in-law, Prince Elidyr of Alt Clut. Elidyr thinks his claim is stronger because Rhun is illegitimate, but he fails to recognise Gwyneddian law which gives equal accession rights to both legitimate and illegitimate offspring. Elidyr is killed in battle on the Cadnant Brook in Gwynedd. Presumably upon the death of St Einion the king, Rhos loses any autonomy it may possess as Rhun Hir draws the kingdom under his direct control. Einion's heir, his nephew Maig, and his descendants appear to remain important lords in eastern Gwynedd after they cease to be kings. In terms of Rhun Hir's own immediate family, according to Geoffrey of Monmouth, Rhun has a brother named Ennianus, and it is he who is the father of Rhun's successor Beli, and not Rhun. Son (although Geoffrey of Monmouth says he is the son of Ennianus). Son. Killed by Aethelfrith of Bernicia at Caer Legion. In one of the bloodiest and hardest fought battles of its time, several British kings form a coalition to halt Æthelfrith of Bernicia at the Battle of Caer Legion (Chester). Cearl of the Mercians could also be involved on the British side (according to scholarly theory). Iago ap Beli of Gwynedd and Selyf of Powys are both killed, and the battle is a disastrous British defeat. As lords of Gwynedd, Isaag ap Einion of Dunoding, Idris Gawr of Meirionnydd, and Cadwal Cryshalog of Rhos would also be expected to involve themselves with their own bands of warriors (see one of Geoffrey of Monmouth's more accurate entries about this campaign via the feature link). However, Æthelfrith does not occupy the territory around Chester. Just who does is unknown, and the entire history of this region from the post-Roman period to the tenth century is extremely sketchy. One possibility is that the line of the River Dee is successfully defended by the people living just to the west of it - the Dogfeilion - who are able to claim great prestige from being the victorious defenders of the western Britons. Another possibility is that groups of Angles not under Bernicia's control settle the region to the east of the Dee, and are later subsumed within Mercia. Cadwallon (and probably his father too) already holds a claim on the crown of Deira as part of his domains. He now apparently includes Elmet in this claim, following the kingdom's conquest by Edwin of Deira. Son. High King. Allied to Penda of Mercia. King Edwin of Bernicia and Deira is killed at Hatfield Chase (just outside the western borders of Lindsey) by Penda of Mercia while the latter is allied to Cadwallon. Cadwallon repays many years of defeats, deaths, rapes and pillaging at Northumbrian hands by conducting a year-long campaign of revenge throughout the two kingdoms. However, the campaign ends in his death at the hands of Oswald at the Battle of Heavenfield near Hexham. For the British in general, Cadwallon's death is a disaster. It virtually ends any realistic, historical claim to any level of high kingship, and also robs the Britons of the only native king to overthrow an English dynasty. The Britons never find an equal leader. Cadwaladr is probably killed by the great plague that hits the country. Swithelm of the East Saxons is also a victim. A case has been argued for identifying Cadwaladr with Arthur, the fifth century battle leader of the Britons who, for convenience, has been placed in the list of high kings of post-Roman Britain. The link is not particularly convincing and the original theory has since been discarded by its author. Cadwaladr is defeated by the West Seaxe and Dumnonian Somerset is fully occupied as a direct result of this defeat. m Afadda ferch Alain II, King of Brittany. Caradog ap Meirchion is a ninth generation descendant of Cynlas Goch, king of Rhos. Now with the death of Rhodri Molwynog, he is able to seize the throne and pronounce himself King Caradog ap Meirchion of Gwynedd. Nine generations removed from Cynlas Goch, king of Rhos. The line of descent of Meirionnydd's princes apparently ends with Cynan ap Brochfael, so the territory is fully merged back into Gwynedd. Meirionnydd later re-emerges as a cantref which is governed by lords who are vassals to Gwynedd. Their relationship to Meirionnydd's previous princes (if any) is unknown. Caradog is killed in battle by 'Saxons' in Snowdonia. These are presumably the half-Welsh, half-Angles of Mercia who are being led by Coenwulf. His son, Hywel ap Caradog, appears to continue to govern in Rhos. No heir. His daughter married Gwriad, nominal king of Ynys Manau. Heir to South Rheged. King of Manau. m Essylt ferch Cynan. Son. Moved from Manau (or North Britain). Descendent of Coel Hen. Wales, self-isolated after High King Cadwallon ap Cadfan's death in 634, now begins a long period of growth as it renews contacts with the Continent, and makes new ties with Wessex. Merfyn marries the sister of Concenn of Powys, and adds that territory to Gwynedd upon the king's death. His successor, Rhodri Mawr, marries Angharad, the sister of Gwgon, the drowned king of Seisyllwg. Rhodri's sons continue this policy of intermarriage. During the reign of Merfyn Vrych those Britons residing in England are obliged to renounce their British ancestry or leave the country and their homes within three months. Perhaps it is this insult that prompts the king to engage in battle against Beorhtwulf of Mercia (whom the Welsh annals name Berthwryd). The battle at Cyveiliawc (otherwise called Ketill or Cetyll), is apparently very severe and the king is killed. In the same year another battle is fought at Fferyllwg, 'between the Wye and the Severn', although it is unknown who commands the Welsh forces. It is they who carry the day this time (a further battle is fought on the same site about two years later, which ends in stalemate). Son. King of Gwynedd, Powys & Seisyllwg. United all of Wales. The Chronicle of the Princes reports that 'Saxons' (probably from Mercia) invade Anglesey. Meurig ap Hywel of Gwent is said to join Rhodri the Great, king of Wales (Gwynedd and Deheubarth), in defeating them but falls during the battle. The Annales Cambriae also record the death of Meurig at the hands of Saxons. Concenn of Powys goes on a pilgrimage to Rome and in 854 drops dead along the way. His nephew, Rhodri Mawr, the son of Concenn's sister and Merfyn Vrach, takes Powys for himself to form part of a united Wales. To highlight his credentials to be a new breed of great king in Wales, in 856 Rhodri deals with the threat posed by Viking raids from Dublin by killing Orme, the leader of a raiding party. He keeps the Vikings at bay thanks to this victory. The death of Gwgan ap Meurig of Seisyllwg allows his brother-in-law, Rhodri Mawr, to swiftly marry into the family and gain the kingdom for himself. Rhodri is now king of much of north and central Wales. In 873 he institutes a form of devolved government in which three of his sons control parts of the country in his name. Anarawd is granted Deheubarth, Cadell governs Seisyllwg, and Merfyn commands in Powys. Upon the death of Rhodri Mawr, and according to his wishes, Wales is officially divided between his sons. Anarawd succeeds him in Gwynedd and retains Deheubarth, ruling from the Gwyneddian palace of Aberffraw on Mona, Cadell is confirmed in Seisyllwg, and Merfyn in Powys. Son. King of Deheubarth (passed to Hywel Dda). Brother. Ruled Seisyllwg as a sub-kingdom of Gwynedd. Brother. Ruled Powys as a sub-kingdom of Gwynedd. One 'Edryd Long-Hair' leads a Mercian army into Gwynedd, but is defeated by the sons of Rhodri Mawr at the Battle of the Conwy. The Welsh annals refer to this as 'revenge by God for Rhodri'. Welsh historian Thomas Charles-Edwards equates 'Edryd Long-Hair' with Æthelred, his intention being to re-impose Mercian overlordship in the Welsh principalities, but this setback ends that hope as far as he is concerned. He does however continue to exercise overlordship over Glywyssing and Gwent in the south-east. Son of Anarawd. King of Gwynedd. The line of descent from Dynod to Cuhelm, ruler of the Gwyneddian sub-kingdom of Dunoding, apparently ends with the latter's death around this time. The territory is fully merged back into Gwynedd and at the same time it is divided into the cantrefi of Eifionydd and Ardudwy (later part of the counties of Caernarfonshire and Meirionnydd respectively, and today part of a revived county of Gwynedd). The grand alliance including the Scots, Northumbrian Danes at York, Dublin Danes, and the Welsh of Gwynedd and Cumbria, mass their forces north of the Humber in a bold attempt to destroy Æthelstan of Wessex. The plan fails, however, when the West Saxons and Mercians of the south destroy the alliance at the Battle of Brunanburh in 937. Following this defeat there may be some northern British migration from Cumbria and Strathclyde into Gwynedd, based upon a somewhat confused Welsh tradition. Hywel Dda of Deheubarth gains Gwynedd upon the death of Idwal Foel and grabs Powys, making him sole ruler of all Wales. He has already acknowledged the late Athelstan of Wessex as his overlord and has associated himself closely with the English king, witnessing Athelstan's grants of lands and charters (the British Museum possesses a charter which records a grant of land by Athelstan at Luton in 931, and which bears the testimony: 'Ego Howael subregulus consensi et subscripsi' (Sub-King Hywel hereby consents and agrees')). It is clear that Wales is now sharply divided between a strong anti-English party, based chiefly in the north and led by the sons of Rhodri Mawr in Gwynedd, and a South Welsh party which favours union with England. Hywel is the leader of the latter, and his epithet 'dda' is given to no other Welsh king. It is probably first given to him by the South Wales 'unionists'; the epithet 'mawr' that had been applied to Rhodri Mawr had probably arisen as an expression of the traditionally more exclusive nationalist policy of the North Welsh. These conflicting views dominate Welsh politics for the next couple of centuries. King of Deheubarth since 916 (Seisyllwg reunited). Cadwgan, son of Owain and grandson of Hywel Dda, is killed by the Saxons of England. In the same year a battle takes place at Carno between the sons of Idwal Foel of Gwynedd and the sons of Owain ap Hywel Dda. The men of Gwynedd manage to devastate areas of Dyfed in Deheubarth, presaging a great deal of future conflict between the two greatest states of Wales. The death of Hywel Dda of Deheubarth, king of all Wales, leaves the country divided. While Hywel's sons, Owain, Rhun, Rhodri and Edwyn, take possession of his estates in South Wales, Iago and Ieuaf, the sons of Idwal Foel, seize North Wales as their birthright (Gwynedd and Powys). The two sides disagree strongly over the break-up of a united Wales, but the joint kings of Gwynedd cannot be removed, despite a raid into Dyfed which sees many of their men cut down by a force from Ceredigion. Morgannwg continues to retain its independence under its own line of kings. Son of Idwal Foel. King of Gwynedd & Powys. Died without an heir. As part of the ongoing conflict between Deheubarth and Gwynedd, Owain, prince of Ceredigion (Seisyllwg), leads an army into the North Wales kingdom and engages its men at the Battle of Aberconwy. The fighting is so fierce that both sides are forced to withdraw, having sustained heavy losses. The following year, Gwynedd repays the compliment, invading and devastating Ceredigion and being driven out by more fierce fighting. Son. King of Gwynedd & Powys. Brother. King of Gwynedd & Powys. King of Gwynedd, Deheubarth, & Powys. King of Gwynedd, Deheubarth, & Powys. Son-in-law to Maredudd. King of Gwynedd, Deheubarth, & Powys. Cadwallon's 2nd cousin. King of Gwynedd & Deheubarth, Gwent, Morgannwg, and Powys. Gruffydd ap Rhydderch of Morgannwg is able to seize Deheubarth and hold onto it for a decade until the tables are turned by Gruffydd ap Llywelyn. With this act, Gwynedd has lost control of all of south Wales. Gruffydd invades and conquers the mid-south Welsh kingdoms of Morgannwg and Gwent, subjugating them and drawing them directly under his control along with Deheubarth as part of a united Wales. After uniting all of Wales and becoming the first recognised Prince of Wales, Gruffydd is killed by disaffected Welshmen. His head is sent to Harold Godwinson and King Edward the Confessor of England as the price of peace following attacks on England by Gruffydd. With Gruffydd's half-brother Blethyn of Deheubarth gaining Gwynedd in his place (closely allied to his brother, Rhiwallon who may share control), he rules a still-mostly united Wales. Powys is detached for, or by, his son. This division may happen in 1063 as an informal devolvement of power by Blethyn himself to avoid later dynastic squabbles, but it is certainly conformed upon his death in 1075. King of Powys, Gwynedd & Deheubarth. Killed in battle. The last native British earl of Corniu (Cornwall) is deposed by William in 1066 as he tightens his grip on the newly-conquered kingdom of England. At first, only the south-east can be considered as being securely held. Princes Blethyn and Rhiwallon ap Cynfyn of Gwynedd, Deheubarth, and Powys resist the invaders as part of their supporting role for Harold Godwinson. They join Eadric the Wild of Mercia in an attack on Norman forces at Hereford in 1067, and Earl Edwin of Mercia with Earl Morcar of Northumbria in a further attack in 1068. King of Gwynedd & Deheubarth (de facto ruler). Although Trahaern holds power in Gwynedd, during this time he is subjected to continuous raids by the rightful ruler, Gruffydd ap Cynan. Attempting to emulate the achievements of his father and grandfather and become king of south Wales, Caradoc ap Gruffydd of Morgannwg drives Rhys ap Tewdwr Mawr of Deheubarth from his throne. He is immediately faced by the threat of that king returning in alliance with Gruffydd ap Cynan, who is pursuing his own claim for the throne of Gwynedd. Gruffydd also gains the cooperation of his nemesis in Gwynedd, Trahaern ap Caradog, and Meilir ap Rhiwallon of Powys. Caradoc is killed at the Battle of Mynydd Carn, as are Trahaern and Meilir, allowing Gruffydd to seize his birthright in Gwynedd and Rhys to regain Deheubarth. Son. Prince of Wales (1160). Died Dec. The death of Llywelyn ap Madog effectively ends Powysian hopes of fully restoring the kingdom in the face of aggression from the marcher lords. Powys Fadog quickly becomes little more that a satellite state of the powerful Owain Gwynedd. South Powys frequently takes a different tack, opposing Gwynedd and maintaining an independent stance. Son. Died soon after accession. Brother. Ruled from Jan. Exiled to England. Brother. Gained throne with help from the king of Manau. Brother. Emigrated with his followers to the Americas. Prince of North Wales. Remains of South Powys annexed in 1208. With Llywelyn Fawr having married Joan of England, daughter of King John in 1204, the antagonism exhibited by South Powys towards Gwynedd has left it politically isolated. Now King John arrests Gwenwynwyn ap Owain of South Powys and Llywelyn takes the opportunity to annexe his territory. Gwenwynwyn is restored in 1210 but is forced to found a new capital at Welshpool. Prince of Wales Died 25 Feb.
Gruffydd ap Gwenwynwyn is not able to return to claim his late father's lands in Powys Wenwynwyn until this year, shortly after Llywelyn's death. At that point Dafydd ap Llywelyn Fawr is forced to reach peaceful terms with Henry III of England and Gruffydd is restored as king of his reduced territory in mid-Wales. Although Powysians generally acknowledge Llywelyn ap Gruffydd as Prince of Wales, those of the southern region of Powys Wenwynwyn have always been less impressed with Gwynedd than their northern counterparts. Gruffydd ap Gwenwynwyn illustrates this by changing sides again, and he is exiled to England for his refusal to acquiesce. He returns two years later, restored during a fresh English campaign against Llywelyn. Dominant in Wales for so long, Llywelyn ap Gruffydd is ambushed and killed by forces led by his troublesome vassal, Gruffydd ap Gwenwynwyn of Powys Wenwynwyn, along with Roger Lestrange of Ellesmere and Roger Mortimer (grandfather of the first earl of March of the same name, lover of the wife of Edward II). The loss is a disaster for Wales, although Llywelyn's brother steps forward to continue the fight. Brother. Last native Prince of Wales. Killed. With the death of Llywelyn ap Gruffydd in 1282 and his brother Dafydd the following year, four hundred years of dominance by the house of Gwynedd comes to an end. Gwynedd had survived intense rivalries from its neighbours, as well as outside threats from Irish, Angles, Saxons, Vikings and Norman raiders and would-be-conquerors. It had done so through a combination of might and well-placed diplomacy that nevertheless failed to withstand the final, determined assault from the English in the person of Edward I.
Llywelyn is beheaded and the grisly trophy taken by Roger Mortimer of Chirk to Rhuddlan. This he presents to a thankful King Edward who dispatches it at once to be displayed on the Tower of London to the great mirth of the townsfolk. Llywelyn's infant daughter, Gwenllian, now an orphan (her mother had died giving birth to her), is snatched from her cradle and taken to a monastery in England to spend her entire life locked away, 'safe' from producing any heirs to the Gwyneddian throne. She dies at the age of fifty-four in 1337. Gwenllian is not the last representative of the House of Gwynedd, however. The English have to put down several rebellions despite their control of Wales, and the first of these is led by a distant cousin of Llywelyn ap Gruffydd.